Water temperatures continue to drop in the lake. Surface temperatures are now 66 degrees F compared to 72 degrees F three weeks ago. Water transparency remains murky. We had Secchi Disk readings of only 2 feet. Our lake is still very green. But the lake is still relatively clear of plants near the surface. Last year we had a hard time dropping the Secchi Disk down because of all the plants in the way. We are not the only ones measuring the quality of the lake! We arranged to be at Wingra Park at the same time a middle school class from Edgewood was preparing to take some of their own samples, see above image. After a safety instruction, see below image, and a word from us about what we are doing, they headed out to the lake. We look forward to collaborating with the teachers on the data they gather! 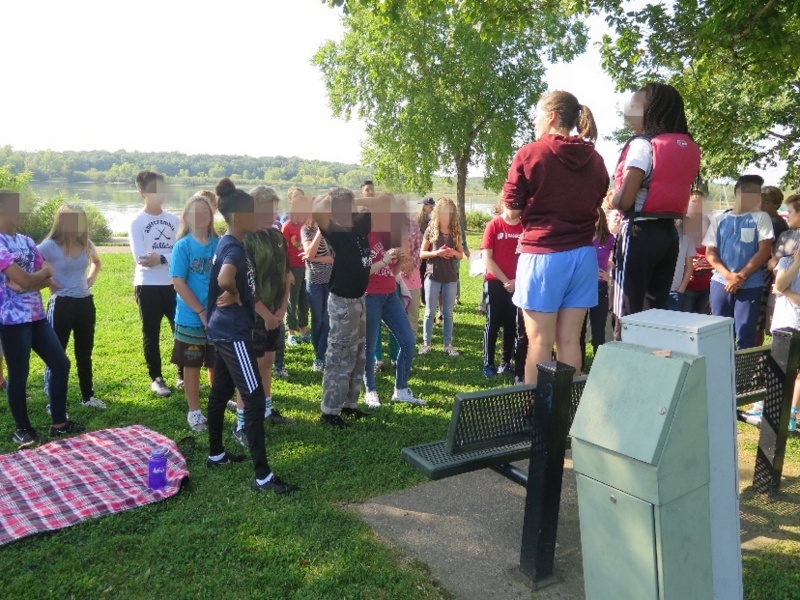 Students receiving safety instructions before heading out onto lake.